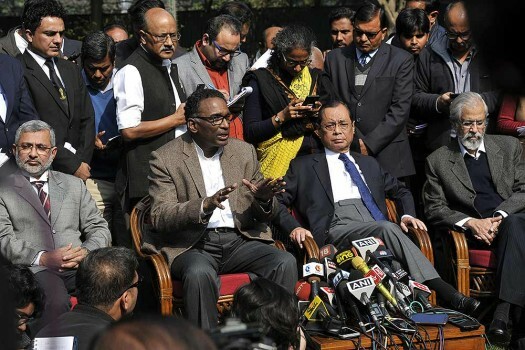 Supreme Court judge Jasti Chelameswar along with other judges addresses a press conference in New Delhi, Friday, January 12, 2018. 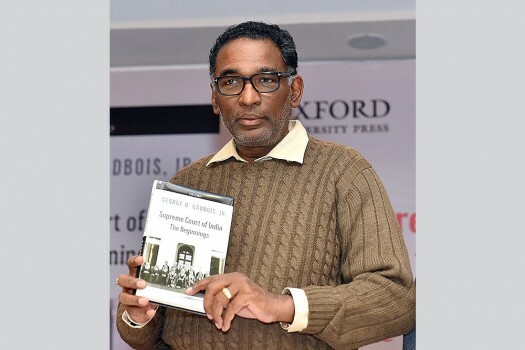 Supreme Court judge Justice Jasti Chelameswar during a book launch 'Appointment of Judges to the Supreme Court of India' edited by Arghya Sengupta and Ritwika Sharma in New Delhi. 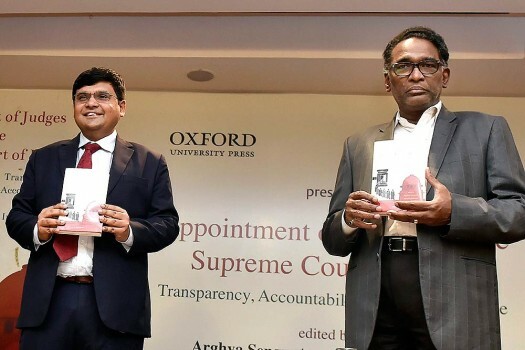 Supreme Court judge Justice Jasti Chelameswar and author Arghya Sengupta during the book launch 'Appointment of Judges to the Supreme Court of India' in New Delhi. Supreme Court judge Justice Jasti Chelameswar at the launch of the book “Supreme Court of India- The Beginnings”, authored by Vikram Raghavan and Vasujith Ram, in New Delhi. Supreme Court judge Jasti Chelameswar during a addresses a press conference in New Delhi. Supreme Court judge Jasti Chelameswar along with other judges addresses a press conference in New Delhi. 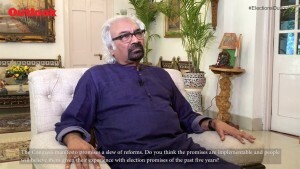 A bench headed by Justice Arun Mishra said there were no grounds to quash the appointments of Chaudhary and Bhasin. 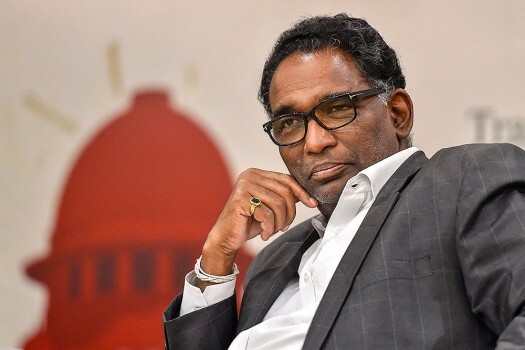 Was Justice Chelameswar's Elevation To Sc Delayed? It is the custom in the top court that a retiring judge, on his last day, is given the honour of sitting with the CJI in the majestic Court no 1. 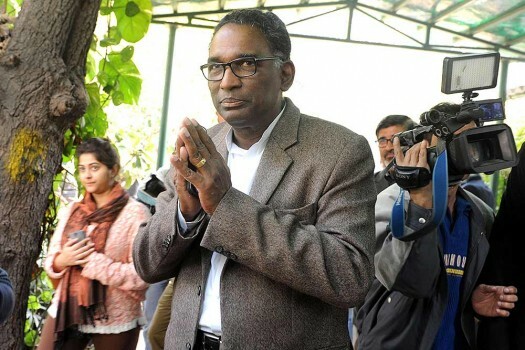 Justice Chelameswar had recently courted controversy by holding a press conference along with other three senior most judges in which litany of allegations were made against Chief Justice of India Dipak Misra. "Someone running a relentless tirade against me that I am up to grab something. 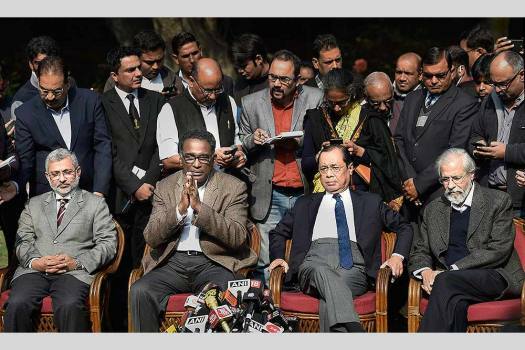 This country will follow its own course but I'm sorry and I can't deal with this PIL," said Justice Chelameswar who is “going to retire in a few days”. Joseph said two “watchdogs” of democracy – the judiciary and the media -- must act with utmost force when the "democracy is in danger". "Here was a need for a solution to clear the backlog of cases in the higher judiciary. This problem was real"